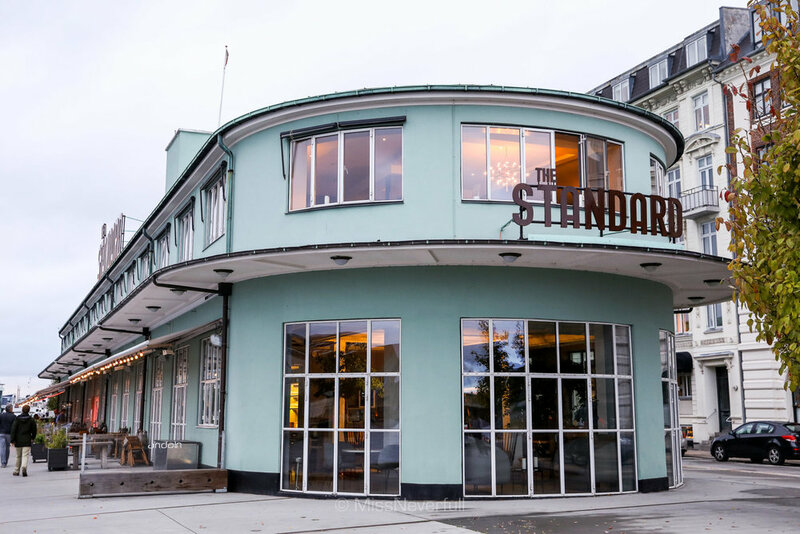 Housed on the top floor of the old Custom House The Standard by the Copenhagen habour, Studio is one of the two restaurants resided in the hotel that serves top notch Nordic food. 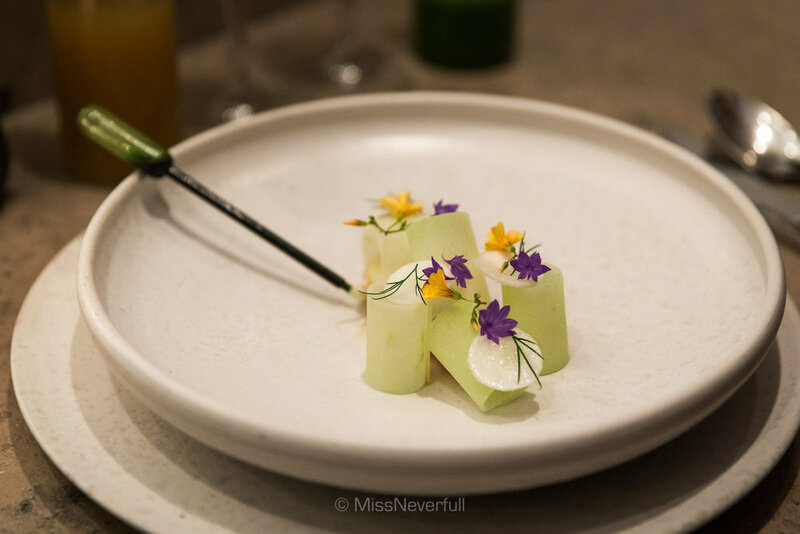 Opened in late 2013 by Noma co-founder Claus Meyer and ex-Noma Chef Torsten Vildgaard’s, Studio got its first Michelin star in just four months later. 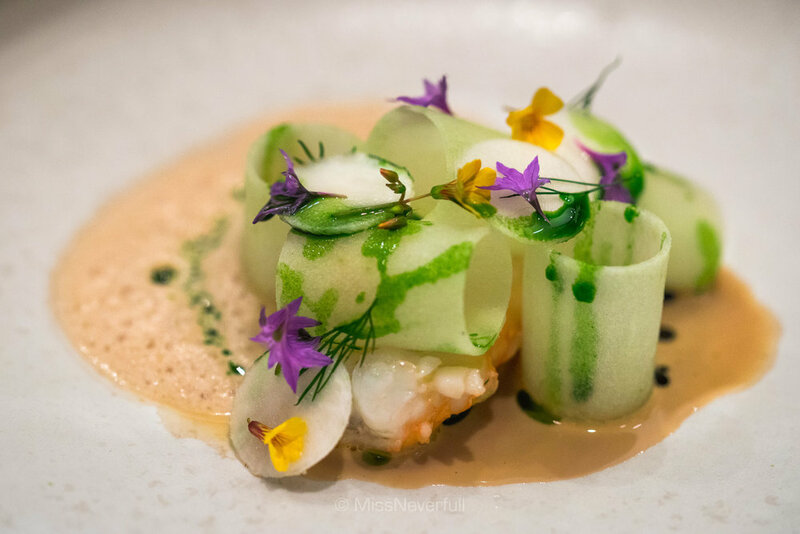 A year later, Studio was named the 3rd best restaurant in Denmark and the 10th best restaurant in the Nordic countries by “White Guide Nordic”. Furthermore Torsten Vildgaard was named chef of the year in Denmark by "Den Danske Spiseguide" (“The Danish restaurant guide). 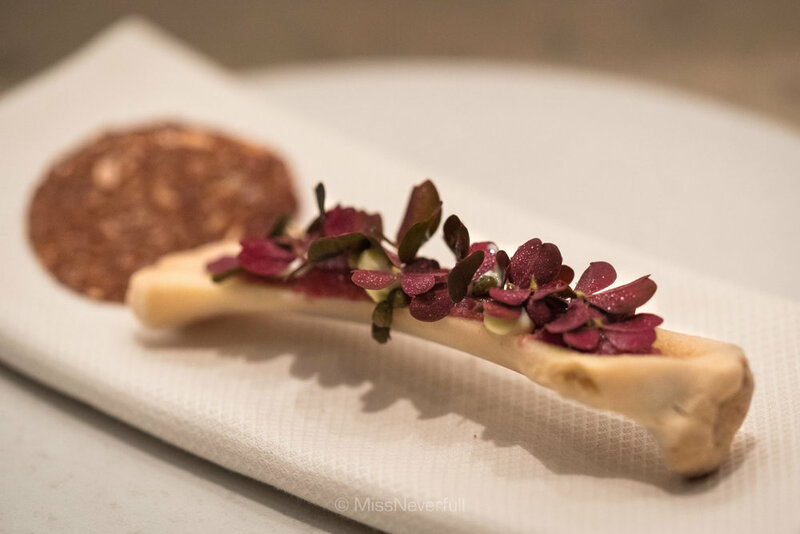 With a clear Noma DNA, Studio combines traditional Nordic flavors with modern techniques into their innovative, playful and delicious dishes. Similar to Torsten's creations, the interior of the restaurant is simple woody tone that brings a breeze of the nature, with a beautiful view of the harbour and canals. We made a reservation at the counter seat which faces the open-kitchen, here, we can enjoy the processes of how dishes are prepared before serving to us. When i was waiting for my partner, i found we can also peep Noma from Studio too! Well, sadly i was not hungry at all. This was just the fifth hour after my five-hour lunch at Geranium. Accompany by the annoying jet lag, i had an hour sleep after my 'lunch'. As a result, i decided to have the shorter 7-course menu (1000 DKK) while my effective partner still got the full 10-course menu (1500 DKK) with juice pairing (500 DKK). We found the 3 different courses on the two menus can also order from the supplement menu, but of course 10-course menu is cheaper than 7+3. Our meal started with a granite with gooseberries and pine, serving with something I thought was water from the vase on out table - flower water. Such an interesting beginning makes me more exciting about the rest part of the meal. As mentioned in my previous post on Geranium, the juice menu at Studio was quite interesting. Most of the juices are served in a mocktail style that were freshly made/blended in front of us. I didn't order juice pairing because i don't think i can drink too much and i don't want to waste the work, but my partner did, and i really enjoyed watching how they were made. She asked me to have one bite as i am going to do the writing. I found they are really unique and playful which goes well with the dishes. So we started with some pre-meal snacks. 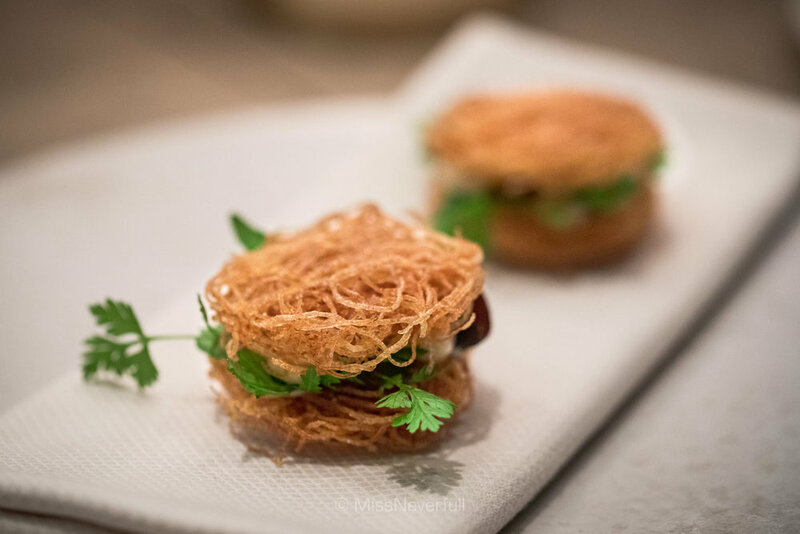 Starting with the olddie but a goodie - deep fried potato chips sandwiched with smoked cod roe with salt, vinegar and some herbs. It was a very divine snack to kick off a meal, just like eating a a fancy version of umami potato chips from a bag of potato chips. We continued with the refreshing oyster with strawberries, followed by a lovely soft-boiled quail egg served in a real carton of (cooked) quail eggs. 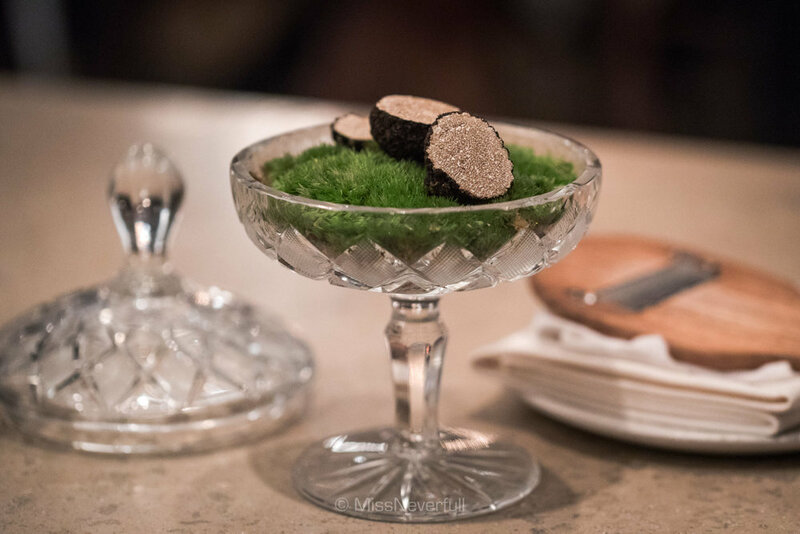 The egg itself was perfectly cooked, you can find some black sea salt on the bottom to lift the flavors, finished with summer truffles on the top. The last appetizer was a traditional Danish pastry that is served during Christmans. It was something new to me and i really enjoyed its golden crust with an incredibly soft and moist center. On the side, a beautiful serve of fresh crab meat mixed with creme fraiche to be eaten with the Æbleskiver. I sandwiched into a cute slider, warm Æbleskiver 'bun' with juicy crab meat, yes please. My partner's first dish was White sturgeon caviar with walnut milk, the caviar itself was delightfully fresh and creamy, the pairing of walnut milk delivers an extra creamy and nutty aftertaste. At the same time, bread was arrived too. Including both sourdough served with sour cream, and some beer flatbread served in an envelope on the side. The first dish was the classcial dish of sliced grilled beetroot on a bed of wild blackberries and walnuts, topped with lovage seeds. 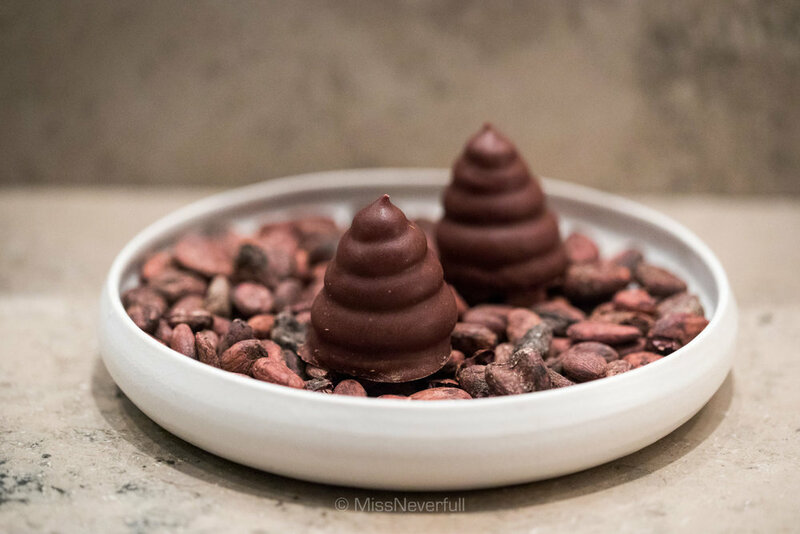 A dish of balanced sweetness and sourness that discovers the beauty of nature. 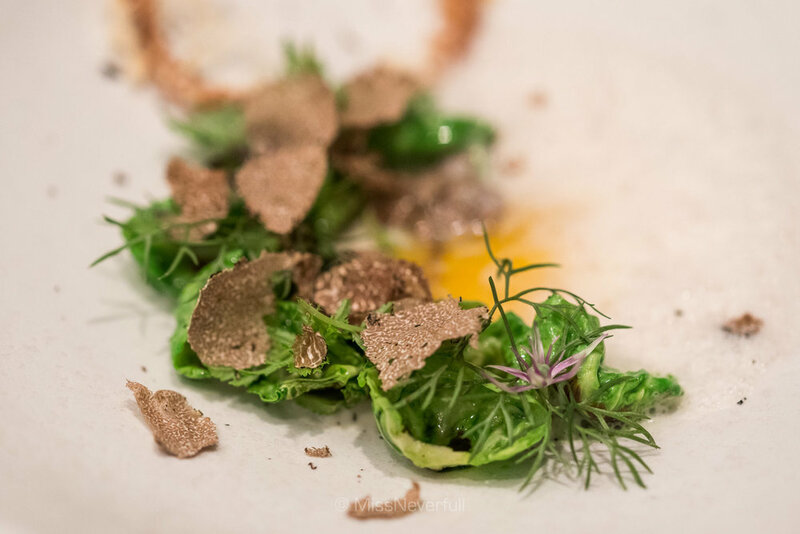 To follow, my partner had a simple dish of poached egg yolk with cabbage and black truffle. Very simple combination but delicious. Continuing with fried langoustine, another tasty and interesting dish on the menu that we enjoyed a lot. My favorite dish of the meal was the celeriac with truffle, haven't had a luscious celeriac dish like this for a while. 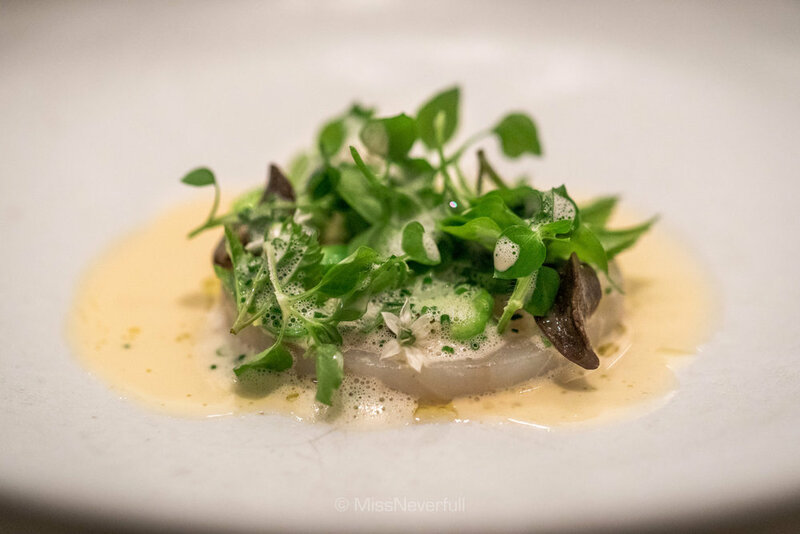 The celeriac was pan-seared with butter which smells and tastes mouth-watering, the vinaigrette on the side added some acidtiy to balance the dish, and of course, it never go wrong with truffle! Main course was two slices of fork-tender grilled pork cheek which was quite high in flavor. The green strawberries and silver onions played equally important roles to harmony the dish with a touch of refreshness. And lastely, the desserts. We firstly had a very light and refreshing dessert of crispy pear and fermented garlic, sounds a weird but really clean and refreshing. 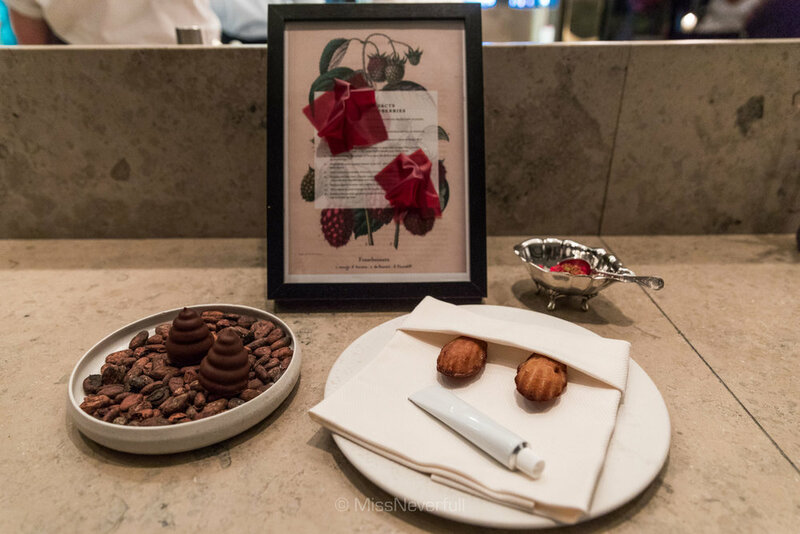 Followed by assorted raspberry sweets: Madeleines with raspberries, raspberry jelly candies (on the frame) and raspberry chocolate. Our favorite was the warm and moist madeleines, a lovely buttery tastes to balance the light raspberries, so much fun to make it into a 'cup madeleines'. We left the restaurant at 12:30am, very filling after two restaurant meals but really satisfied. While due to the very solid three-star lunch we had on the same day, i don't think i was really in a good status to have a real Studio experience this time. Although a lot of foodie friends highly recommended Studio, my experience this time was good but didn't really surprised me, same for my partner who has a better appetite than me. But we definitely don't mind to come back again. Lastly, thanks chef Torsten Vildgaard and the entire Studio team!